WATERFORD COURTHOUSE HAS been evacuated following the discovery of a suspicious device in the grounds of the building this morning. A security cordon is currently in place at the courthouse on Catherine Street in Waterford City after the alarm was raised shortly before 10.30 am. Gardaí are currently at the scene and the Army Explosive Ordnance Disposal unit have been called in, according to a spokesperson for An Garda Síochána. The City Square Shopping Centre was also evacuated earlier today as a precaution. Following a search by Gardaí the shopping centre re-opened shortly after. Nothing suspicious was found. 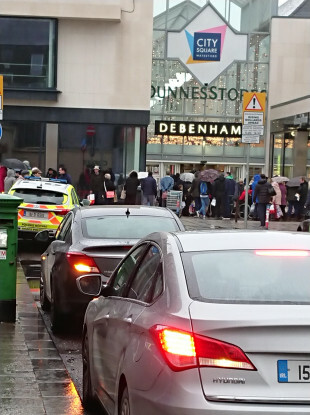 Email “Waterford courthouse and shopping centre evacuated after suspicious device discovered ”. Feedback on “Waterford courthouse and shopping centre evacuated after suspicious device discovered ”.